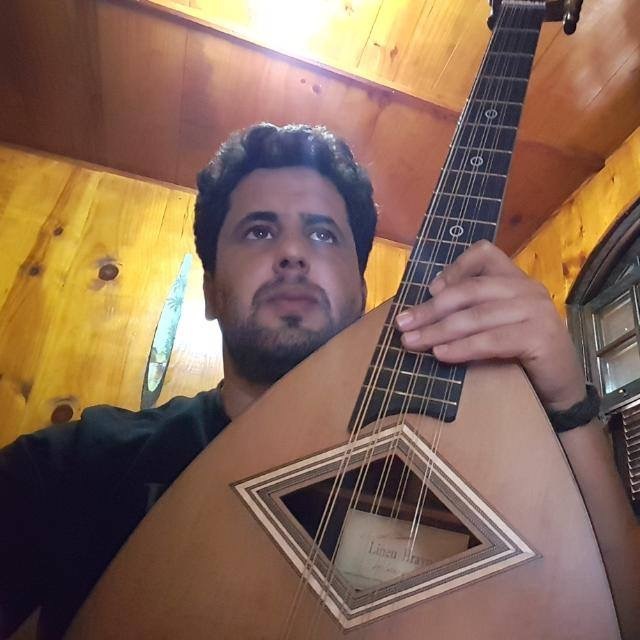 Luthier Lineu Bravo built for the Algerian musician Karim Tariket a ‘mandole’, also known as ‘Algerian bandola’, with Canadian cedar top, Indian Jacaranda Back and ebony elevated fingerboard. 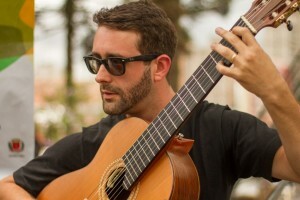 The musician Julio Lemos is guitarist, arranger, and music teacher at UFG. He purchased his guitar in 2013, a 7-nylon string guitar with cedar top and elevated fingerboard. He got to know about Lineu Bravo through Rogério Caetano and Marco Pereira, Lineu’s clients. Julio Cesar Moreira Lemos, began his musical studies at the age of thirteen. Graduated in music at Veiga Valle school. He has also been a music teacher since 2003. He has already performed all over Brazil and also in Portugal, Spain, and Germany. He plays Brazilian Popular Music by great composers, such as Villa Lobos, Radamez Ganattali, Garoto, Guinga, Badem Powel, Asttor Piazzola and Marco Pereira. The musician plays a lot of music genres, such as Samba, Choro and Bossa-Nova, playing along with singers and soloists. He is a member of an instrumental group called “Brasil in Trio” composed by Everton Luiz and Diego Amaral. They play Choro Baião, Maracatu, Samba and Bossa Nova. Julio Lemos is also a composer and arranger. 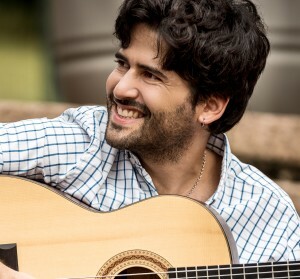 Guilherme Lamas, Lineu Bravo’s client, is releasing a new album in March named “Idas e Vindas”, an original work with instrumental songs in honor of the Brazilian composer Garoto, Aníbal Augusto Sardinha. 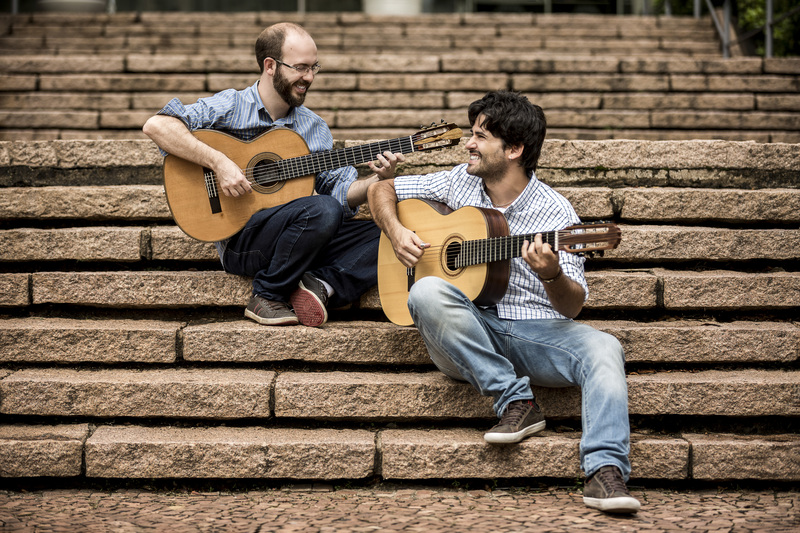 The album is a guitar duo, in partnership with the musician Rafael Thomaz, one of the first Lineu Bravo’s clients. Nowadays, the guitar is no longer with him. Guilherme plays a 7-steel string guitar Rogério Caetano model and, soon, he will debut his new instrument that the luthier is producing for him: a 7-nylon string guitar. 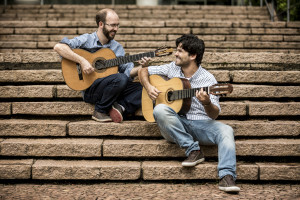 The album “Idas e Vindas”, a guitar duo, develops an original work of instrumental songs in honor of the Brazilian composer Garoto’s centenary (Aníbal Augusto Sardinha). The songs were arranged in 2015, all of them inspired on Garoto’s musicography. The album repertoire contains some Choro variations (traditional and modern), with a lot of external influence. 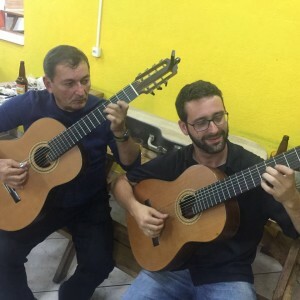 The project started being developed in 2014 with the two musicians interactions: Guilherme Lamas and Rafael Thomaz, soloists of the following instruments: a 7-steel string guitar and a 6-nylon string guitar. The release of the album is scheduled for March 22th, 2018. 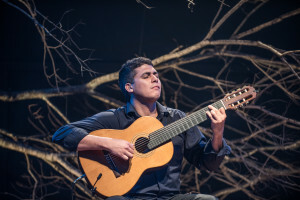 Guilherme Lamas is a musician and researcher at the University of Campinas. He is also a guitarist, arranger, composer, music producer and a teacher. His work has been published at: ViolaB, Discos do Brasil, Lineu Bravo, rádio USP, rádio Câmara, rádio Lora (Suíça), Spotify, Deezer, ITunes, Site, Youtube, FanPage, and SoundCloud. 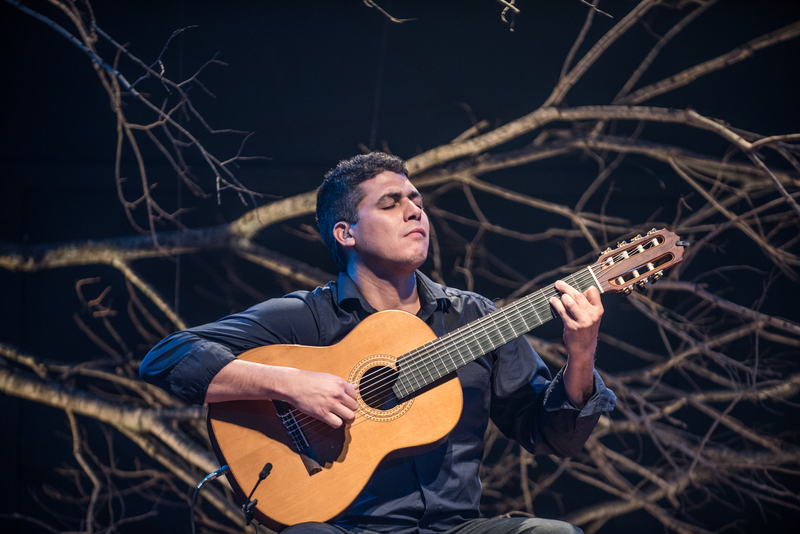 Guilherme Lamas plays a 7-steel string Lineu Bravo guitar, Rogério Caetano model that he purchased in 2016. Soon, he will debut his new instrument made by the luthier Lineu Bravo: a 7-nylon string guitar. The musician got to know Lineu Bravo guitars in 2005, when he studied at Tatuí Conservatorium. “The 7-steel string Lineu Bravo guitar is a masterpiece, I am very happy to have it in my everyday life. When I picked up my guitar at his workshop and played it for the first time, I was already very impressed by the instrument: timbre, volume, stability, playability, tuning”, said Guilherme about his guitar. You can check the complete testimonial that he left, here! Rafael Thomaz has a Master’s degree at University of Campinas. He is a guitarist (popular and concert music). He also is a teacher, sound technician and music producer. Lucas Melo, musician from Curitiba and Francisco Solano, musician from Maranhão and member of a Choro group founded in 1973 called “Regional Tira Teima”, both Lineu Bravo’s clients, have recently met in Curitiba. On that occasion, they played their 7-string guitar made by the luthier. Musician from Curitiba, he is guitarist and plays 7-string guitar. He is a member of a group called “Conjunto Choro e Seresta”, he also teaches at Curitiba Conservatorium of Music. Lucas studied at Jean Jacques Rousseau school and at Curitiba Conservatorium of Music, where he developed, with musicians Sergio Albach and Claudio Menandro, the language of the Choro and the Brazilian guitar. In 2015, he recorded an instrumental album called “Papo Xara” with the musician Lucas Miranda. As a teacher, he was invited to teach at the Choro Workshop of the Paraná Arts College (2011), at Curitiba Conservatorium of Music. (2012) and at EPM Rotterdam (2015). Lucas is also a producer in Curitiba. Lucas purchased a 7-string guitar made by luthier Lineu Bravo in 2010, however it was stolen in 2011. The musician got the guitar back in 2016. Lucas got to know about Lineu’s work through another Lineu Bravo’s clients, such as Marco Pereira and Rogério Caetano. Francisco Solano’s hobby is the music. He is a member of a group called “Tira Teima”, a traditional Choro group in Maranhão. He is the president of Maranhão Choro Club, and he plays the 7-string guitar.